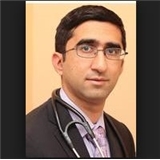 Medical Practice of Dr. Abayev P. C. (Queens) - Book Appointment Online! Medical Practice of Dr. Abayev P. C.
The visit went well. The doctor was very informative. I will be using DR.Abayev again.